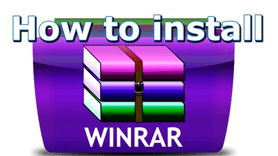 WinRAR is a file archiver for RAR and ZIP files for 32-bit and 64-bit Windows operating systems. You can also exploit this archiver for Android, Linux, FreeBSD, Mac OS X, MS-DOS and Windows Mobile. WinRAR is a popular program-archiver, one of the main programs on each computer. Archivers can compress any files into archives to reduce their size, and also extract files from archives. Until the 21st century, when there were no large carriers and each megabyte was on the account, archivers were especially needed. But even now their usefulness cannot be denied. A large number of programs and text files are distributed on the Internet in archives. This is very convenient because it is easier to download one archive, rather than many small files separately, in addition, downloading archives is faster due to the smaller size. It is possible to download WinRAR on the official site. WinRAR and the format of RAR archives are constantly evolving. Starting with WinRAR version 5, new support for the new archive format RAR5, incompatible with the previous format, but using the same RAR extension, has been added. With the advent of RAR5, the previous RAR file format is now called RAR4. 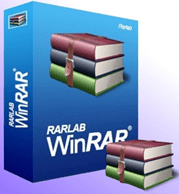 WinRAR version 5 can read and write RAR4 and RAR5 archives, however, older versions of WinRAR are incompatible with RAR5 archives. In the RAR5 format, many features have been added, but support for file comments in the archive has been removed (archives comments are still supported), electronic signatures and special algorithms for text and multimedia compression. In addition, volumes of multi-volume archives in RAR5 are now named according to the “archive_name.partNN.rar” scheme, and the old “archive.rnN” file scheme is no longer used. WinRAR is distributed by shareware license. After 40 days of trial operation, the user is requested to purchase a license. The versions for Android and Pocket PC are licensed by Freeware. In case, you decide to install this program on your personal computer, then there is nothing complicated. First, you need to download the file itself, which starts the installation. The latest version of WinRAR can be downloaded from the official site. English releases of the program are laid out at the very top of the site. Any other release you can choose from the list below for windows 32bit or 64bit. Specify the bit depth of your Windows before uploading. Next, you need to select the language of the program, so click on the language you need from the list to load WinRAR and save the program installer to your desktop (or to another convenient place on your computer). It is important to save the installer in a place where you can find it since you will have to run it after you download it. Run winrar.exe, which you just downloaded. The WinRAR installer will acquaint you with the license agreement, click “Install”. The WinRAR installer window appears. There’s no need to change the items in “WinRAR Configuration” window, so just click “OK”. After WinRAR is installed on your computer, click “Finish”. Now you have an opportunity to easily extract files from archives downloaded from the Internet or files on your PC. To do this, right-click on the archive and select “Extract to the current folder”. Near the archive will appear folders or files that were in it. If you work in the IT department of a large company you can also use WinRAR to inject drivers into existing disk images.